In the last few years, Pennsylvania has proven itself to be a hotbed of progressive death metal activity with rising stars Black Crown Initiate, Rivers Of Nihil, and Alustrium all converging towards separate yet similarly ambitious takes on the genre. Each of them capably melds different measures of technical minded fret wizardry, atmospheric tinged layers, a penchant for massive heavy grooves, and a desire to inject their music with outside-of-the-box progressive elements. Count Burial In The Sky in as yet another group from the state also pursuing a multi-faceted fresh spin on progressive death metal. 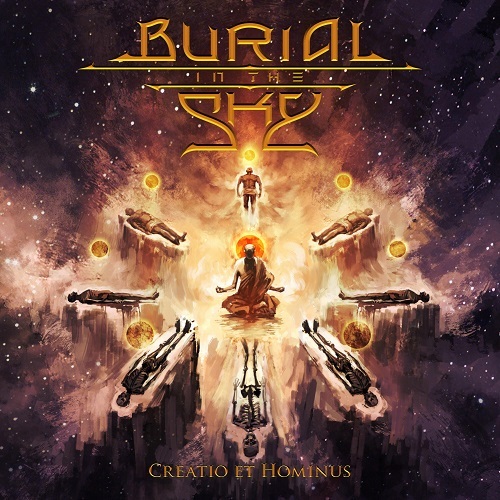 In particular, Burial In The Sky further set themselves apart by choosing to cultivate a psychedelic bend to their craft that calls to mind defunct Australian psychedelic prog-death legends Alchemist (Relapse Records) among others. The group is proud to officially announce the release of their second album, Creatio Et Hominus. 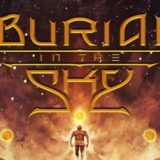 The album is set for release on Friday, June 1st and sees Burial In The Sky further exploring their atmospheric and psychedelic take on progressive death metal. Active since 2013, the Mount Carmel, Pennsylvania-based act already proven their worth on 2016’s Persistence Of Thought, Burial In The Sky’s debut full-length that garnered praise worldwide and featured Decrepit Birth drummer Samus Paulicelli on session drums. After the release of that record, Burial In The Sky picked up drummer Sam Stewart who also plays piano on the group’s upcoming album. At the same time, the band added bassist and saxophonist Zach Strouse who contributed all of the highly praised saxophone playing found on River Of Nihil’s new album, Where Owls Know My Name. Zach adds those same saxophone talents throughout Creatio Et Hominus beyond his skilled bass guitar performance. The recent last-minute addition of longtime Cognitive (Unique Leader Records) vocalist Jorel Hart rounds out the new album’s line-up which begins with founding member, guitarist and multi-instrumentalist James Tomedi. Like his multi-talented bandmates, James contributes much outside of his main guitar role, adding Slide Guitar, Keys, Mandolin, and Kalimba to the new album’s sonic arsenal. 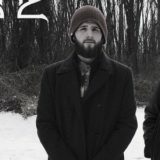 The album’s title track, “Creatio Et Hominus” features a stunning guest solo from Rivers Of Nihil guitarist Brody Uttley that furthers the two groups connection. Stay tuned for the album’s first single, set to air on Monday, April 9th.